We are a leading Manufacturer of maize seed cleaning machine and fan impeller from Ahmedabad, India. 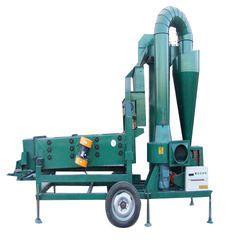 Being the reckoned names in the industry, we offer a comprehensive range of Maize Seed Cleaning Machine that are hygienically approved and are delivered in varied specifications. They are dimensionally accurate in nature and are performance based. They are easy to install and are used in different industrial applications. We have well-developed warehousing facility that assists us to deliver an exceptional range of products to our clients. Looking for Maize Cleaning Machine ?